The National Park Plitvice Lakes, one of the oldest and largest national parks in Croatia, was listed in the UNESCO World Heritage Register in 1979. With its exceptional natural beauty, this area has always attracted nature lovers and was already proclaimed the first national park in Croatia in 1949. The protected area extends to 296.85 square kilometers (73.350 hectares). Every year NP Plitvice Lakes record more than one million visitors. For thousands of years, the waters of the Koran and Slunjčica, and their flora and fauna, have fought against natural laws, and as a result of this struggle on the limestone plateau engraved is a remarkable canyon. Having seen this natural phenomenon, the "riverred" (cro. "rastočen") terrain, where the Slunjčica River flows into several streams, leaving small elevations, in turn, creating waterways and waterfalls, people built the village and called it RASTOKE, where they found everything they needed and stayed here, forever connected to the nature. Enter Barać’s caves and discover the stunning world hidden beneath the earth, generously let the nature teach you about the richness and simplicity and the beauty of intact nature. Barać’s caves include upper Barać’s cave, and right below it there is a lower Barać’s cave, new Barać’s cave and spring cave Baraćevac. Although there are still five other speleological objects in the protected area, because of already recognizable name the whole area is called Barać’s caves. The old town Drežnik is the fort situated on the edge of Drežnik town settlement in Rakovica municipality. According to historical records it is being mentioned from as early as 1185. At the time of Ottoman conquests, the Franconian castle Drežnik was a very important defensive ground which was many times conquered, destroyed and then restored. Today, Rakovica municipality has renewed its buildings and external forts. The fortress is located on a cliff above the steep canyon of the Korana River, on the part where Korana, a few miles after it was created on the Plitvice Lakes, suddenly turns to the East. 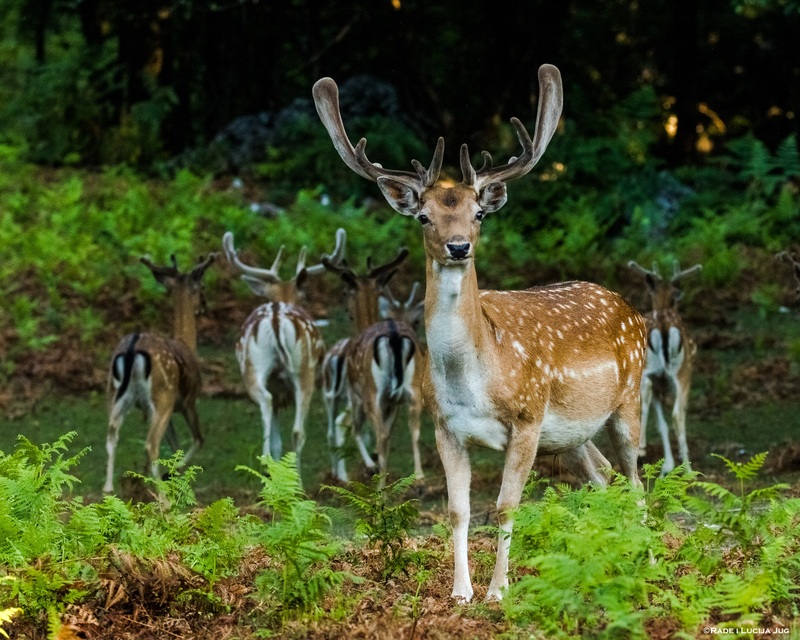 Ranch Deer Valley is engaged in breeding red deer and fallow deer. At the ranch are also black Slavonian pigs and three horses.Ranch Deer Valley is situated in the area of Drežnik Grad, a village located 12 kilometers from the National Park Plitvice Lakes. The ranch covers an area of about 15 hectares.Visitors can enjoy the beauty of nature with unusual sightseeing and feeding of wildlife.